The dramatic east face of Mt. 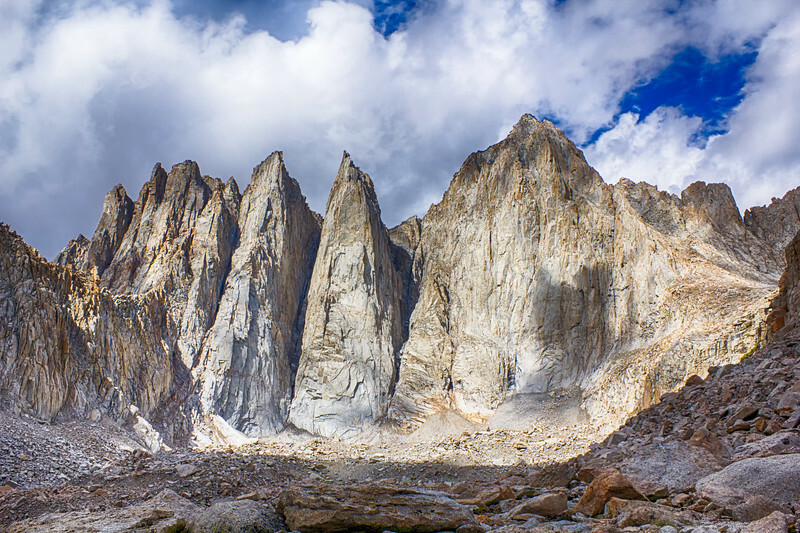 Whitney (14505 ft / 4421 m) rises over 2000 feet from this rocky valley that used to contain a glacier. For nearly an hour I watched those clouds race across the face from left to right. A little while later, lightning and thunder moved in, followed by rain and grauple hail. Made it back to the tent, just in time.